Hi Jac, this is just a great healthy pack of food! 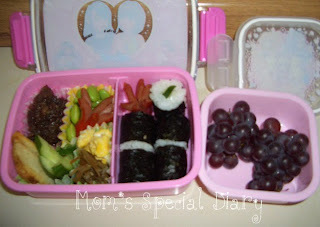 Hello Jac!Your obento seems look so yummy & healthy mine's up too. Btw,anong plan natin sa silver week dyan? Take care always. 'missed you cute!Love you! wow! 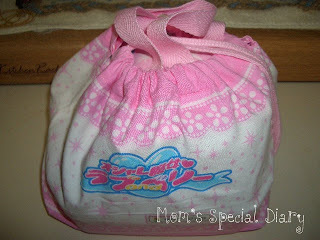 cute ng bento box ng princess mo and of course the food is yummy as well. Wow lots of fruit variety, sarap naman ng lunch nila..